Technological innovations of today are having a decisive impact on distribution mechanisms in the video industry, and bring TV watching to a new level. With the help of Apple TV and Google TV consumers are taking control of their own viewing, creating personal schedules in order to dip into the digital content whenever possible. The traditional television broadcasting model is changing, and broadcasters (both free-to-air and with paid services), as well as telecommunications companies (cable and IPTV) are facing new challenges, because the Internet is gaining more and more power to control a whole new world of TV viewing. Google TV and Apple TV both offer not just a single service for watching online videos, but conglomerate various services and provide users with a mixture of streaming content, instantly available to access. Apple TV is a digital media receiver. It is designed to play digital content originating from the iTunes Store, Netflix, YouTube, Flickr, MobileMe, MLB.tv, NBA League Pass, NHL GameCenter right on consumers' widescreen TVs. This may include blockbuster movies, TV shows, news, sports, and more. From thousands of current and classic movies and TV shows on iTunes many are in 1080p quality. The earlier models of the Apple TV had a hard drive that allowed downloading full shows onto the device, while the contemporary version is designed for streaming. It is also possible to purchase content directly from the Apple TV box when connected to iTunes. In addition to that, by using wireless AirPlay, it is possible to stream music, photos, and videos from the consumers' iOS devices directly to TVs via the Apple TV. Thus, Apple TV gives an access to almost endless entertainment. 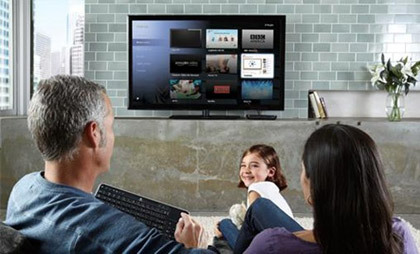 Google TV represents a smart TV platform from Google, co-developed by a number of companies, including Google itself, Intel, Sony, and Logitech. 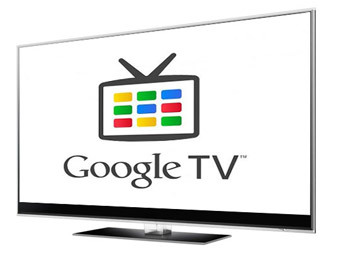 Google TV was launched in October 2010. The system integrates Google's Android operating system and the Linux version of Google Chrome browser. The Android OS provides developers with a possibility to create various apps for Google TV, which makes it possible to extend the functionality of the system. Google's Chrome browser provides a gateway to the Internet, allowing consumers to browse web-sites and access a huge library of movies and television shows, including those on YouTube, HBO, CNBC, Netflix, and more. The Google TV hardware, unlike Apple, is manufactured not by Google per se, but by other vendors, like Logitech and Sony. 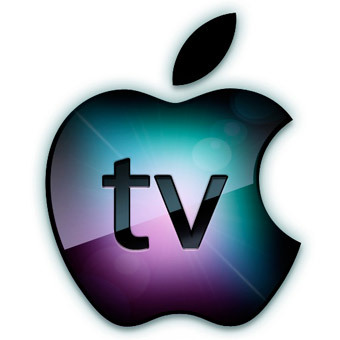 Both the Apple TV and Google TV facilitate the deeper convergence between television and Internet. As a result, media companies can no longer ignore fundamental differences in the digital content distribution models that are based on a more direct relationship with the end consumer. Although both sApple and Google still have a lot of room to grow, their expansion makes media businesses speed up their digital evolution.